It has been a while since I last took part in the Golden Oldies challenge but when I saw this past Thursday’s prompt, I had the perfect polish in mind! Since I used a year old polish I decided to try a new technique: stamping decals. I am pretty happy with how this came out. I stamped the yellow roses and painted black and white right onto the stamper. I used 2 coats of Color Club Almost Famous as my base. I stamped the roses with MoYou London plate 09 (Pro Collection). I painted Wet n Wild Black Creme and butter London Cotton Buds straight onto the stamper and sealed it with Seche Vite. 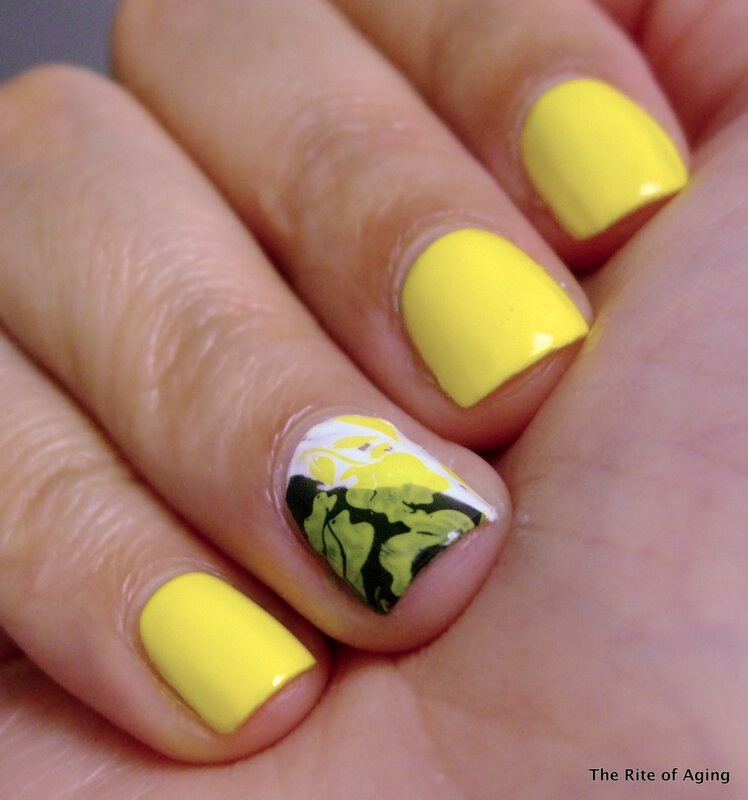 Check out the other yellow manicures below!